Hertfordshire Trading Standards and the county’s police say that following the recent strong winds rogue traders are going door-to-door offering to undertake unnecessary gardening and maintenance work. According to an update sent out via the Hertfordshire Neighbourhood Watch Online Watch Link (OWL) message service, a typical tactic of rogue traders - who often appear genuine - is to claim there is damage to the roof such as a broken tile. Once given access, the rogue trader will then claim the damage is worse than they first thought, that the roof is in danger of collapsing, and that it requires urgent attention. Hertfordshire Trading Standards say that in the past they have received complaints where it has later been discovered that the value of the ‘repair’ is far less than was charged, and in some cases the work didn’t need doing in the first place. The advice is to check for any damage to your neighbour’s property, particularly if the neighbour is elderly and vulnerable, because rogue traders might target them. Remind them to be cautious of traders going door-to-door. Any suspected rogue traders can be reported to police by calling 101 or contacting the Citizens Advice Consumer Service on 03454 04 05 06. If work needs doing, the advice is to source a reputable trader and say no to any cold callers, whether at the door, on the telephone, or contacting via email. Police say anyone who needs work done should seek recommendations from family or friends, or check the Which? Trusted Traders list. Traders with a Hertfordshire Trading Standards approved logo have been assessed by Trading Standards and DBS checked. 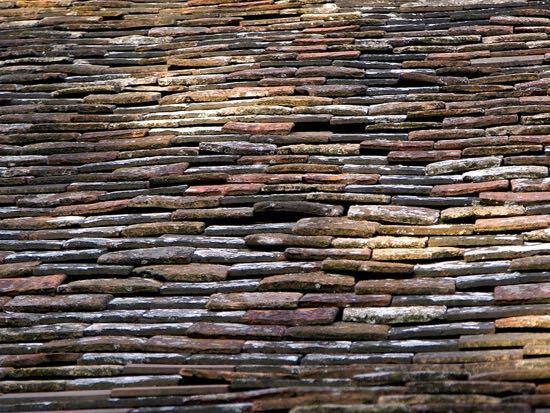 Image of roof tiles © Hans Hillewaert released under Creative Commons BY-SA 4.0. Could this be your garden waste? Do you fancy serving as a parish councillor?